It feels so weird writing 2018. I can't believe it's already a new year! 2017 went by SO fast! I hope you all had a great new years eve. For some reason, I love celebrating the new year. It puts me in such a celebration mood and makes me want to start fresh. I know you can start fresh any time, but the fact that date is 1/1, makes me want to start all over. There were many lessons I learned in 2017 as well as many blessings that were given to me. I hope 2018 will be even better. I've put together a list of things I want to accomplish by the end of 2018 and I would not only apply this to myself, but to others too. Enjoy! Health. Health. Health. 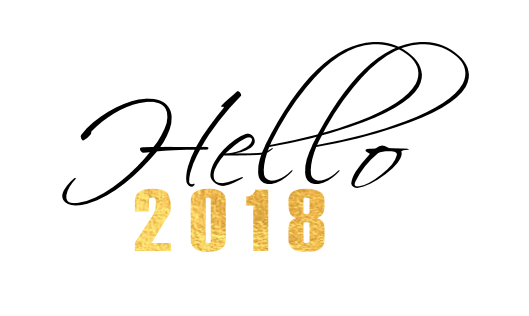 (Zdravlje) I hope to have amazing health in 2018. It's amazing how little things we take for granted, like your health. You truly don't appreciate something until you no longer have it. I hope to have the best health possible in 2018. (No more doctor visits Ako Bog Da Inshallah) I hope that all my friends, family, and readers also have good health in 2018. I hope each and every one of you embrace your good health and continue it for many many years to come! Love. I hope to love more than ever. I hope that my heart will radiate with love for others and others show it to me. I've realized how important love is in this world, and I hope to show love as much as I can. Success. This can be defined in many ways. I hope that I am successful in everything I wish for myself. I hope I am successful in my relationship, in my job, and in myself. I hope all of my friends and family (and readers) are successful in all of their endeavors, whether it be finding a new job, gaining muscle at the gym, or finally becoming organized. Whatever your definition of success may be, I hope you achieve it. Happiness. I hope to find happiness within myself. I can say that I have been happy and feel fulfilled ever since I met my love. It's weird what love does to you. I hope to continue on with that happiness, not only for 2018 but the rest of my life. I hope all of you are able to find your happiness and continue to thrive in it. It took me a long time to realize that happiness is within yourself and can't be achieved through other people. So, take it from me; Once you, yourself, are truly happy, you will never know what happiness really is. I hope you are able to find your happiness this year. Kindness. As Ellen DeGeneres always says, 'Be kind to one another'. I can't stress how important it is to be kind. It's easy to be mean or rude to somebody but let's leave that in 2017. For 2018, let's all spread kindness, especially with what's going on in the world. If you see somebody who needs a door held, wait a couple seconds and hold it for them. If you see somebody struggling to carry something, ask if they need help. If you see somebody hungry and skips lunch because they have no money or food, share yours. Be a good person, even if you get nothing in return. And with those, I would like to stay, HELLO 2018!!! I can feel that you will be a MAGICAL year for me!! I CAN'T WAIT!! !